Cat's and Dog's Meat! ', Bethlem Hospital, London, 1805. 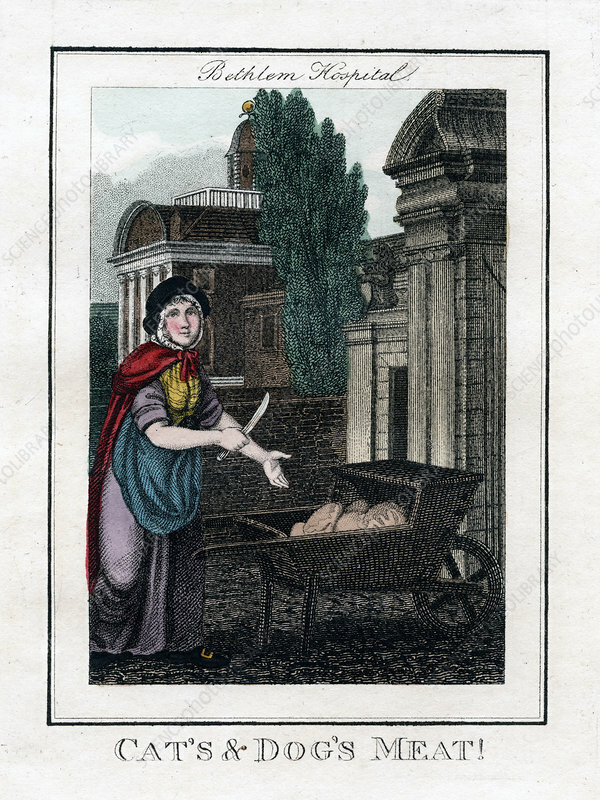 A copper plate representing the itinerant traders of London, from Modern London; Being the History and Present State of the British Metropolis, by Richard Phillips, London, 1805.